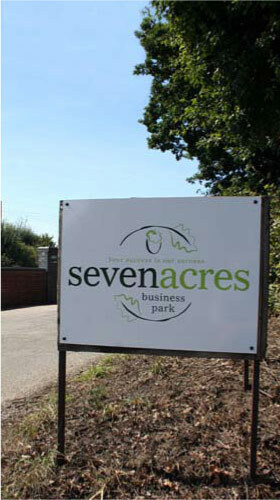 Established in 1999 Seven Acres Business Park combines the pleasant surroundings of an out of town location with quick access to the national road network and the local towns of Ipswich, Felixstowe and Woodbridge. The site offers quality insulated business units from 1000 ft2 to 10000 ft2, catering for the needs of local businesses requiring modern facilities at an affordable price. All units have office and washroom facilities and the majority have a 3phase electric supply. Broadband is available. Our leased terms are flexible to suit your needs with a minimum commitment of 6 months. However a number of tenants have been with us from the beginning with the site catering for their changing needs, examples being alterations to office sizes and upgrading to larger facilities. Security is catered for by gated access outside operating hours. Tenants can gain access at these times with a keyfob system. The situation is as ever a fluid one so please contact us if you need space. If nothing is available we can put you on our list and contact you when there is an availablility to meet your requirements. We are pround of our reputation for providing good quality units in the right location at the right price! EPC Ltd, a local business with family directors – personal service is assured. If you are looking for working space or just storage then we are sure that you will be pleased with our facilities.